It is hard to believe how time can get away from us when we are…living. Or course I’m not able to break down everything I’ve been doing, but I can summarize why this blog has gotten a bit dusty. I have been dedicated to growing my professional life this past year, and decided it was time wisely spent. Over the past year I have focused great attention to organizing SoFloPHP (South Florida PHP User Group), and it has experienced tremendous growth. The group is now around 385 members and meets a few times each month. It’s also great to see other members now starting to speak at the events, which means I have more time to do other things rather than preparing talks and managing it fully. For the last 5 months I also organized the 1st SunshinePHP Developer Conference in Miami. It was a great journey to prepare such a large event with speakers and attendees coming from around the world to speak about, and learn PHP. I experienced a great deal, and will now be able to help out annually to ensure it continues to grow and thrive. No, I have not stopped running, and as a matter of fact I’ve still been maintaining around 30 miles each week and staying in shape. However, I have just not updated the Crazy Floridian social network as much as I used to. I hope to do better about it moving forward, but will do it in moderation now that I have a new job as well. Hello, is there anyone still out there listening? I know it has been an insanely long time since I have posted regularly, but I promise myself (and those still paying attention) that this will change somewhat. You see, I started this blog when I started to run as a way to document my journey. It acted as a great motivational tool at the time, but quickly absorbed far too much of my time. I worked diligently to grow readership by following other blogs, and commenting regularly on them. My reader list grew, and all was working according to the plans that most bloggers follow. However, that takes ALOT of time and effort. My personality is not the type to do things half way, so I went “OCD” and spent many hours to get more readers. It was fun having followers as well as requests from PR companies to test free merchandise in return for blogging about it. Some may also remember how I learned a few things by testing this merchandise, and it led to some additional purchases on my part. I came to a cross roads…in order to maintain enough customers to make a living (working from home for myself) while maintaining the amount of running I love doing I had to make a choice. 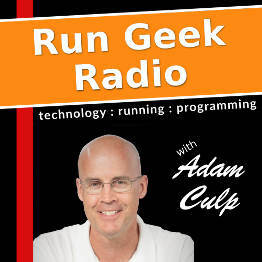 It came down to blog (following the plan to build more readers) or run. Again, because I cannot do anything half way I really had to make the choice. Thanks for reading. Leave a little note below and let me know your still around. Many things happen while running the distances we do. Some of them are physical while others are mental, and some are completely fictitious creations of our mind to keep us occupied. I thought I would share an event that was real, but obviously just “bubble gum for the mind” as I was running a mid-week 20 miler of what will be a 103 mile week. I had just finished a couple of 93 miles weeks back to back, and this was my peak week prior to tapering. 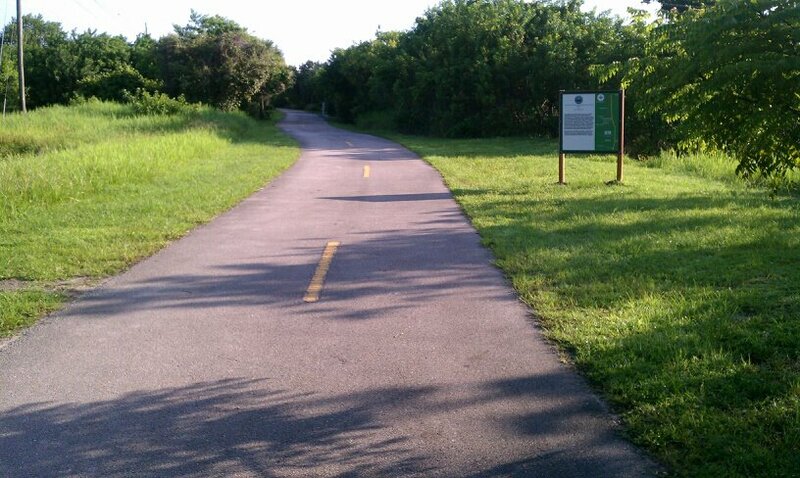 I had taken a paved trail along a canal with lots of wildlife, and though there were other runners and cyclists it was peaceful from the lack of traffic sounds. It was another afternoon run to pick up heat training and be better prepared to handle it if the pending Iron Horse 100 turns out to be hot, like last year. 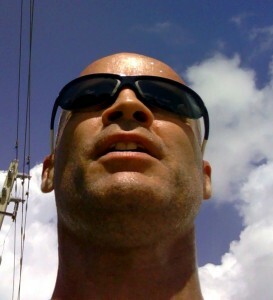 While moving along at a nice 8:45 per mile pace I was feeling pretty good for being 8 miles in. I ran 16 miles the day before, and today the pace felt very good though not easy. There was a slight breeze, puffy clouds in the sky, and I was thinking that after I finish my first 100 mile ultra I will use the gained fitness from the training to concentrate on my speed and finally get Boston Qualified. As I was crossing a street I noticed a young woman running toward the trail. At a glance she didn’t have the appearance of a regular runner, though she was in good shape. In her cotton t-shirt and normal gym shorts her calves lacked the “look” of someone who ran much. At my current pace I passed right by and didn’t give it a second thought as my mind switched gears and the young woman was forgotten. When she was about 10-15 yards ahead of me I decided to match her speed, because I was curious how fast she was actually travelling. Garmin said we were running a 7:50 pace. I had no intention of passing her because I was getting in a much longer run than she was probably doing, and I did not really want to run at my marathon pace right now. However, she must have sensed me trailing because she increased speed to a 7:33 pace and maintained it for another 1/2 mile as I matched her. Again, I had no intention of passing her. She was going much faster than I intended to run, but I was feeling pretty good so I continued to match her speed while maintaining distance. I was actually interested in her running form as we were running a pretty nice pace. She seemed to be running pretty easy, and while her form was not graceful it was very “easy” looking and she gave no open signs of fatigue. I was impressed and continued to tail her to the next street crossing the trail where she got off and stopped. After safely crossing the busy street I continued the remaining 11 miles of my run at the planned pace now that my mental deviation from the run had passed. I know you have all been waiting on the edge of your seat for the official Adam Culp (Crazy Floridian) product review of the knuckle lights since I bought them a while back. (They arrived in late September.) So here it is. I would have written sooner, but really wanted to take them on a bunch of runs to be sure I was gonna love them as a part of my running gear, and waiting a bit also enabled me to really see how long they would last on a set of fresh batteries. Now that I have used them as running lights on more than 30 runs, and at least 3 times as hiking lights in the woods of the Smokie’s and the hills of Colorado, I feel I can properly write about them. I was pleased that the batteries lasted about 15 2+ hour runs. I am not sure how long they would have lasted for a single run if it lasted longer, but will let you know in February after the Iron Horse 100. As many of you know I run a bunch of miles (2,200 miles in 2011), and many of these runs are at night, or start late in the day and end up in the dark before the run is done. Unfortunately I live in an area where there is high traffic and not street lights everywhere, and when cars are driving toward me I often cannot see anything. This makes for some interesting night running. There have been times when I tripped over a curb, sidewalk, debris, and once even some roadkill. So I resorted to buying a headlamp. Now I don’t know about the rest of you, but a headlamp is truly an inconvenience to wear when running. First I needed to adjust the strap tight enough so it does not slide down my face, but lose enough so it doesn’t result in a headache. Needless to say I eventually just tied it around my hand and positioned it in such a way to use it like a flashlight. However, there were two problems with this: First, I had to twist the strap pretty tight to my fingers to be handy and cause my fingers to hurt after hours of running. And second, the strap becomes worn, and over time loses its elasticity so it basically was cutting off blood flow to your fingers to hold it in place. After almost 2 years of running this way I saw an advertisement in Runner’s World for Knuckle Lights. It was awesome to see someone had also done the same thing I’d done with the headlamp, and decided to make a “real” light with straps to be held on your hand similar to the way I was using the headlamp. Awesome!!! I ordered a pair of Knuckle Lights and waited for them to arrive. I could hardly wait to get them. When they arrived it was like Christmas, and I was impatient to give them a try. Of course I did a head to head comparison against my headlamp, and the Knuckle Lights were brighter, but wouldn’t you know it…I had to wait a full two weeks before the opportunity arose for me to give them a try, and loved them immediately. The handle is pretty comfortable even though it is a plastic strap. I was a little nervous about that when I first saw them, but after adjusting them to the right size for my hand I don’t even notice it on my hand. The wide angle LED bulbs are pretty nice because the beam is not really altered by my hand movement as I run. Of course you do not get the distance you would get with a spotlight type of beam, but seeing that far is not really a concern when running. I only need to see things closer to me to prevent tripping, and I can generally see farther objects enough to know what is ahead in any way. The package comes with two Knuckle lights and included batteries, but I generally only use one at a time. The second light really doesn’t illuminate much more than a single one will do by itself. Even while hiking with the family in deep woods a single light was more than enough for me to see with, so my wife had one while I carried the other and it worked awesome. In February I will be using these lights while running the 2012 Iron Horse 100, and I believe they will work out wonderfully since I have thoroughly tested them since September. 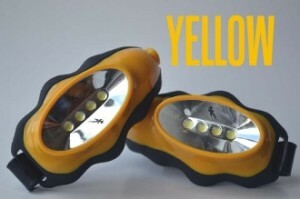 I recommend these to any runners, hikers, bikers, or anyone that has a need for some sort of lighting. They are priced reasonably, do not eat batteries, are comfortable to wear and use, and supply an awesome amount of light. Please go get your own. At first I was already set to shop for a new pair of Oakley sunglasses, but was surprised by the HUGE price Oakley charges for their lenses. (All added up I would be paying around $650 for the sunglasses with spare clear lenses for night running.) You see the trouble is that I do a bunch of running, which means I run during the day and sometimes at night. The pair of glasses I wanted would need to have lenses that could be changed out with clear ones for night running. Enter Adidas. While at the store looking at Oakley I came to the decision that I would simply live with the way I had been doing things. But the friendly store owner asked if I had considered other brands, and asked me to try on a pair of Adidas. When I put them on I was immediately shocked. They actually fit more comfortable than the Oakley with more adjustments possible, and were about $30 cheaper even before the prescription lenses were calculated. The clerk pointed out that with these glasses I could get lenses much less expensive because they could be made right in the store. (Total price for the glasses with 2 pairs of prescription lenses would only be around $300!) SOLD! Now that I have had them for around 6 months I figured the time has come to talk about them. THEY ARE GREAT!!! Overall I highly recommend these shades, even if you do not need prescription lenses. Enjoy.